Stirrups made of stainless steel are usually stronger than stirrups made of copper alloys. Over time, they are less likely to wear out at the hanger for the stirrup leathers. 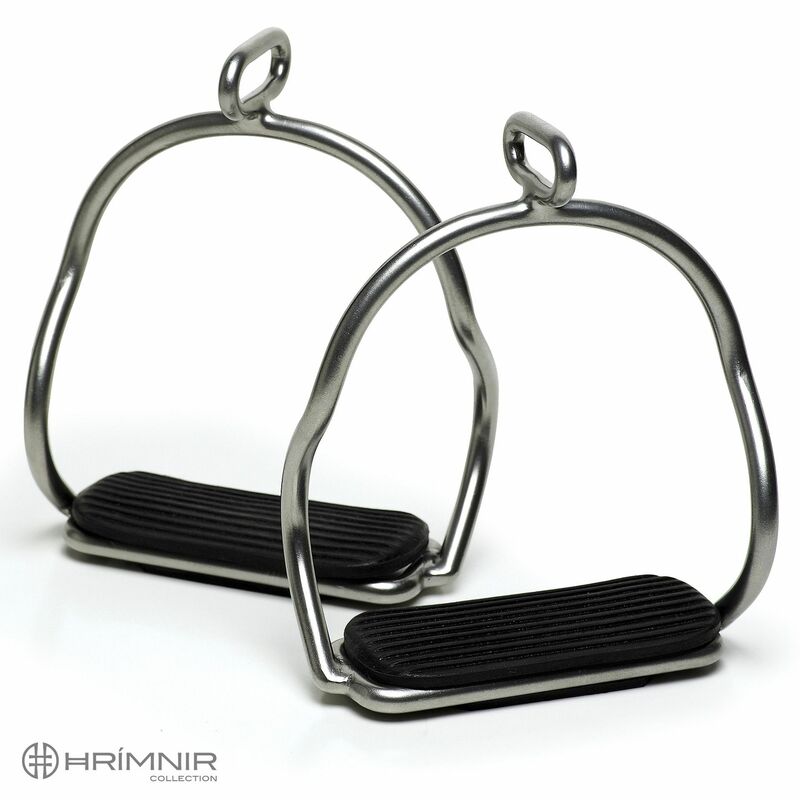 Our stirrups are made of high quality stainless steel and are very durable. Tests have shown that they are break-resilient up to 2 tons. The stirrups have an elegant and classic design. The stirrup leather hanger is positioned horizontally. They have a black rubber tread. The S-shape on both sides allows the rider’s foot to slide out easily in case of emergency, a very important safety feature. The stirrups are only sold in pairs.